The Doctors shared a shocking video of road rage taken way too far. A Canadian couple cornered a reckless driver with their car and the man got out, turned on a chainsaw, and threatened them with it. Kids can be heard crying and screaming in the background. Dr Travis Stork said it goes to show that you never know what can happen during a road rage incident. Dr Stork said he was involved as a child in a road rage incident that involved baseball bats. Kids who are exposed to road rage at a young age are predisposed to the act as well. Dr Drew Ordon said you can certainly provoke road rage. Dr Stork said he’s prone to road rage, but as an ER doctor, he knows that some nights, the majority of what he sees are road rage accidents. The Doctors then shared that cellulite affects nearly 90% of women, including a woman named Brooke. But Brooke was excited to see if a brand new procedure could diminish her dimples for good. Brooke shared that she was 13 years old when she looked in the mirror and saw dimples on her outer thighs. She’s been self-conscious about it ever since. She always wears leggings and pants and doesn’t even like to be naked in front of her husband. Brooke said she’s tried everything for her cellulite and works out every single day. She’s tried laser liposuction, expensive creams, and dietary changes, but nothing has helped. She came across this new procedure and is hoping that it will improve the appearance of her cellulite. Dr Jeremy Green saw Brooke and said she looked like an excellent candidate for the procedure. Brooke and Dr Green joined the show about a week after the procedure. Brooke said the scariest part was the noise and the recovery was great with minimal bruising. She said she’s actually excited to wear a swimsuit now. Dr Green showed a before-and-after picture, which were absolutely amazing. The cellulite appeared to be completely gone. He said patient satisfaction is 94% at the one-year follow-up. This treatment is different because it gets to the root of cellulite. 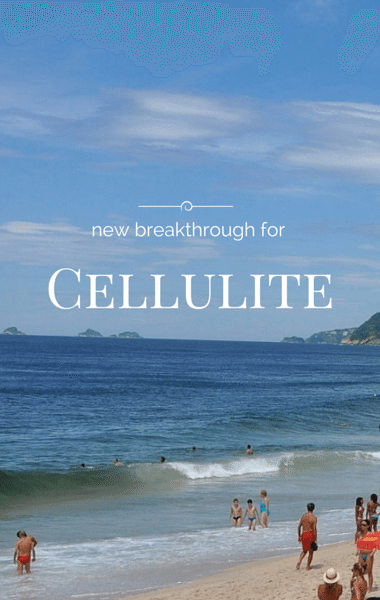 Cellulite is when the tethers that go through fat to the surface of the skin pull downward, creating dimples. This treatment goes in and releases those bands, giving the skin a smoother appearance. Other treatments are only a temporary fix. The Drs: How Much Does Cellfina Cost? This treatment is called Cellfina and can cost anywhere from $3,000-6,000, depending on the place. But it’s a one-time treatment that is FDA approved. He said he treated people back in 2010 who are still clear of cellulite. Brooke shared that she’s already gone out and purchased some bathing suits! Would you try this procedure for your cellulite?